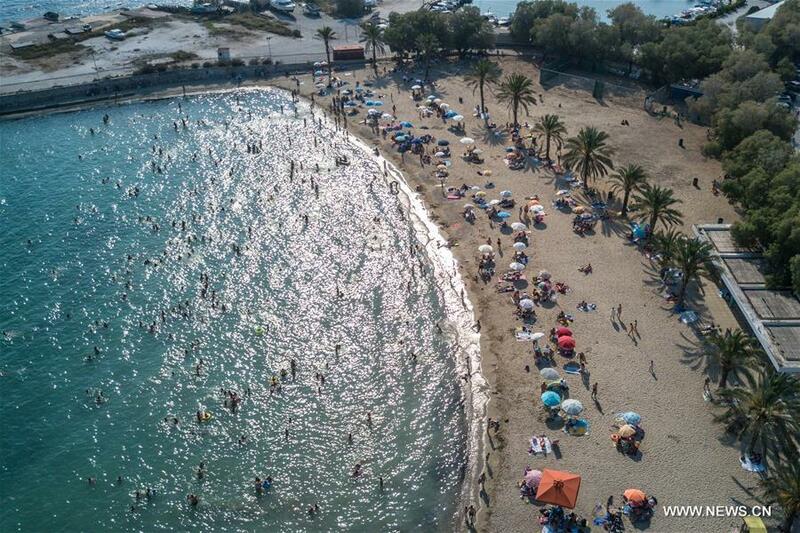 The Hellenic National Meteorological Service warns that temperatures are expected to escalate as high as 45C over the next few days as Greece witnesses the summer's first heatwave. On Tuesday the heat that started at the end of last week is expected to intensify as temperatures are expected to reach a minimal of 37-38 degrees Celsius on the mainland, while in Athens temperatures will reach 35-36 degrees and western Greece is expecting heavy rains around mid-day. Also expecting heavy storms on Monday are the areas of Epirus, Sterea, Peloponnese, Western and Central Macedonia. From Wednesday the mercury will rise even further with temperatures in Athens reaching a minimal of 38 degrees Celsius with areas on the mainland reaching over 40 degrees Celsius. Islands and coastal areas will experience a maximum temperature of 35C on Wednesday and Thursday, 36-38C on Friday and Saturday, before dropping to 33-35C in the west and climbing 37-39C in the east on Sunday.